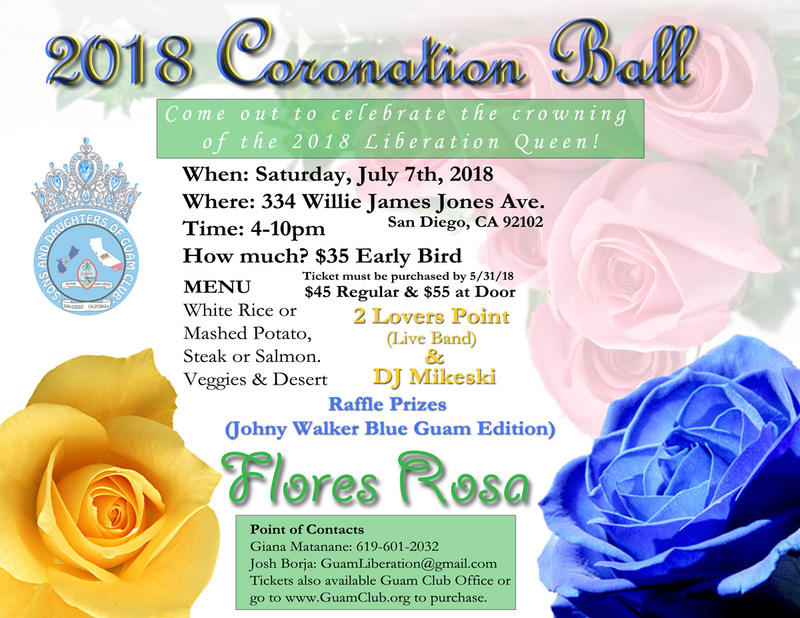 Coronation Ball 2018 – Sons & Daughters of Guam Club, Inc.
Come on out to the 2018 Coronation Ball! How much? $45 Now or $55 at the door.